Are you interested in fillers, artificial fragrances, synthetic dyes, and paraben? Then you have not come to the right place! Skin Deva products are made from the best mix of natural ingredients. We, woman, do not want extra ingredients that do not help solve your beauty needs. Skin Deva products are non-greasy, absorb quickly, and simple. When MyTopFace says simple, we mean this company uses more actives and less chemical. Each of the serums are high concentrated. The 20% Vitamin C+E+Ferulic Acid Serum left our MyTopFace expert’s feeling very soft. After she applied two to three drops to her skin, it did not leave any stickiness. It also dries very quickly. It’s a very super antioxidant which brightens and even out your skin tone. You can add it to your morning or night regime. We used it with a combination of the 20% Argireline with HA+Matrixyl 3000, which is a botox alternative, and the results were phenomenal! After about a week of using their Argireline serum, you will notice your eyes and cheeks lifted. Your skin will also look much more clearer and healthier. With this botox alternative, you don’t have to worry about any expensive Botox injections to reduce wrinkles. Skin Deva uses the same protein used in a Botox injection. This a a cost saver for the same results! Our expert used about two to three drops of the serum to massage the face. 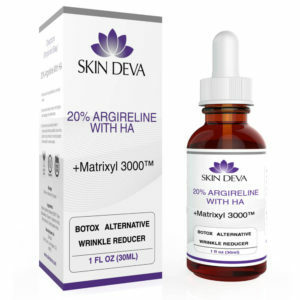 Argireline helps relax the tension in the face, while eliminating wrinkles. 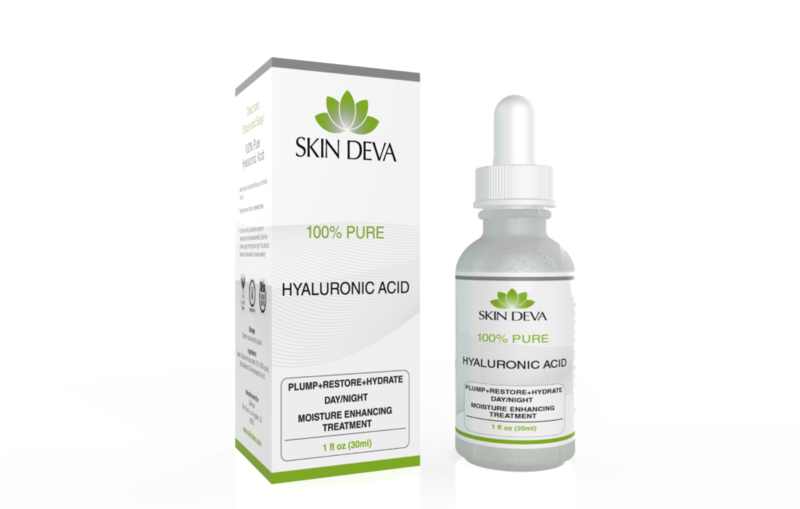 Hyaluronic acid helps with maintaining hydration in the skin. Matrixyl increases collagen production by 350% and makes the skin firmer. 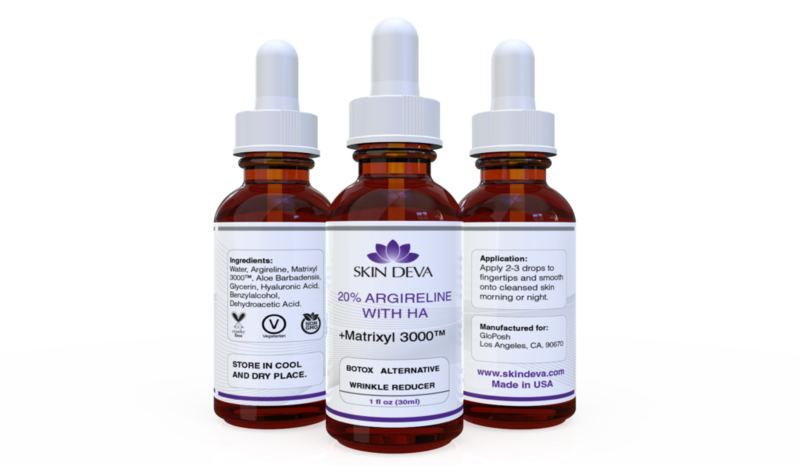 Skin Deva have products that are more potent that others on the market. This means that it works better and much faster. 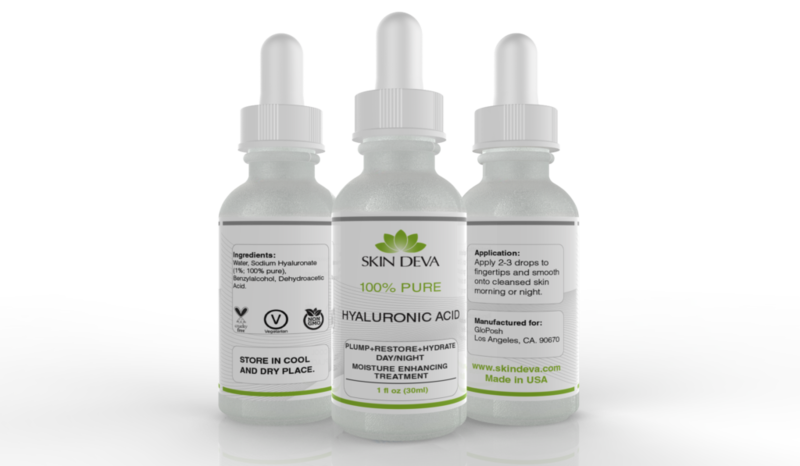 Using the 100% Pure Hyaluronic Acid, our MyTopFace expert can see that the skin appears more youthful and firmer. This serum is know for its hydrating results. Skin Deva says it is known to “create an impenetrable barrier on the surface of the skin, which locks in moisture so your skin can stay healthy and hydrated”. You can just add two to three drops to finger tips to apply to the skin. MyTopFace loves Skin Deva and how it does not use any inorganic additives that might harm the skin. We also love that their skincare products are affordable. All of the products are cruelty-free, so we don’t have to worry about any animal testing being used for any of their products. With each of these products, you can see results within just a few days. MyTopFace thinks you need to try these serums out now! 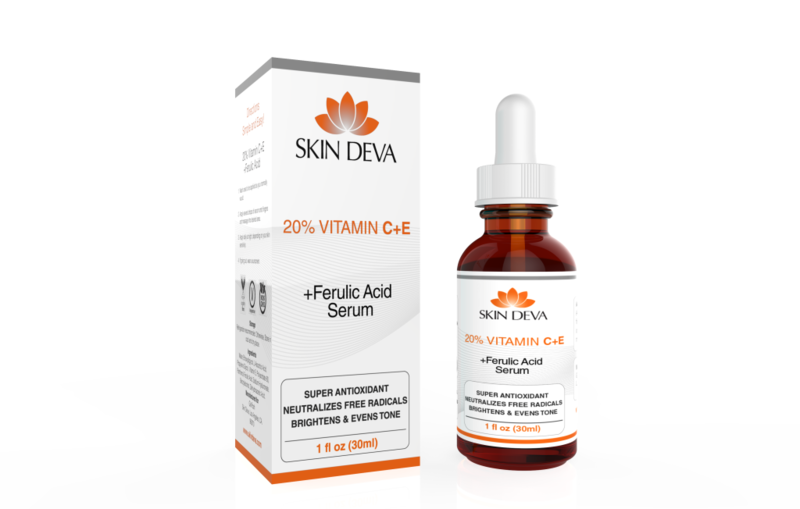 As a special gift to our readers for the holidays, use our coupon code: MYTOPFACE at Skin Deva, to receive a 10%discount on your entire cart and free shipping for USA only.